You definitely don't want to miss this! Spacious, 2-story, 5 bedroom/4 bath POOL home in the desirable Eagle Creek subdivision with so many amazing features including a gas fireplace, crown molding, wet bar, and upstairs bonus loft space will not last long! 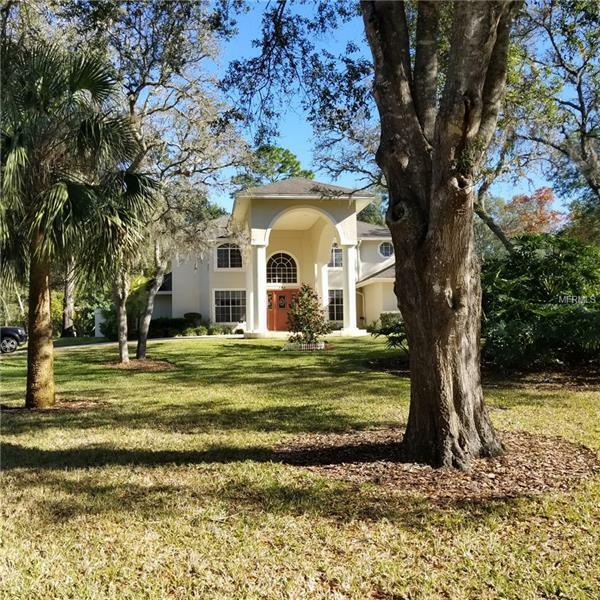 Set on a gorgeous, ONE ACRE CORNER LOT, this home provides a vast expanse of space both inside and out, as well as a marvelous location close to all that beautiful Lake Mary has to offer. The grand portico entrance is definitely a rare find! The floor plan showcases the tremendous living space throughout with large living, dining, and eat-in kitchen areas. The master suite also has a bonus area and huge master bath while the 5th bedroom is actually an upstairs suite that could serve as an optional 2nd master. Whether you are lounging by the pool on the large, screened lanai or enjoying the breathtaking outdoor garden space, this house was made for both relaxing, entertaining, and making memories.